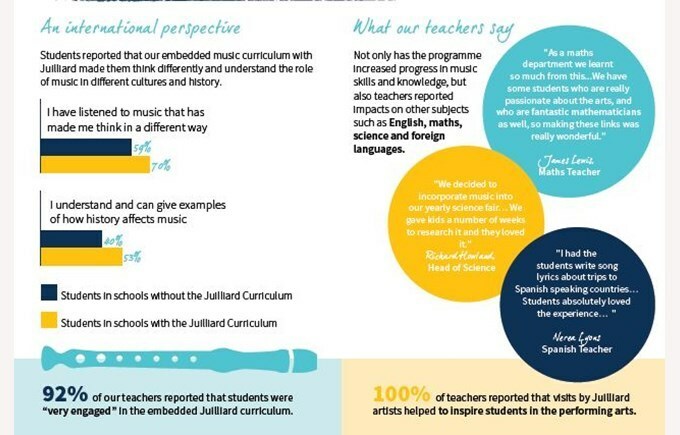 After the first year of collaborating with Juilliard, we conducted research across our 10 inaugural schools and compared them to schools without the programme to quantify the benefits for our teachers and students. Research suggests that there are many benefits for students taking the performing arts. 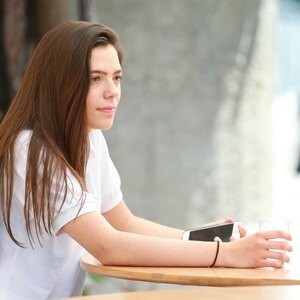 As well as developing their cultural awareness, the performing arts can help students to make progress in learning new skills-such as collaboration, creativity and resilience. 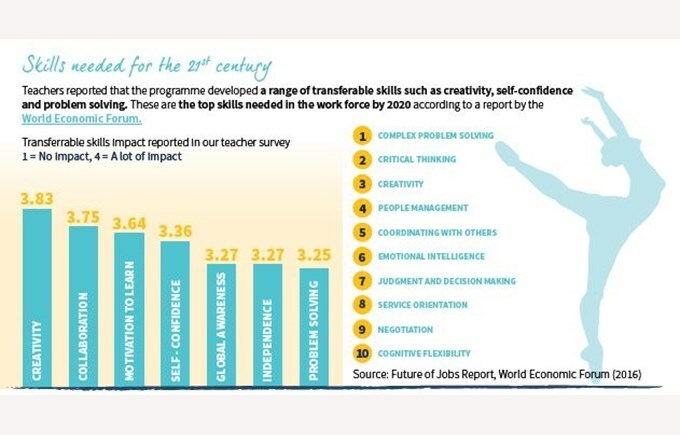 According to a report released by the World Economic Forum earlier this year, 21st century skills are needed more than ever. This report details the reasons behind our collaboration with The Juilliard School, including findings from research we carried out with our first 10 schools that received the Juilliard-Nord Anglia Performing Arts programme last year.